If you want to work in the retail industry – here are some tips to finding work in the retail industry. You can often find a large selection of retail positions being advertised online – seek, My Career, CareerOne etc. To find a job and to find one quickly there are a few things you’ll need to take into consideration. #1 – search for work OFTEN! Thanks to the Internet you can look for work at all hours of the day or night and while it’s tempting to perform multiple searches throughout the day – you should at least check all sites daily. This is very important when you’re looking for work in the retail industry which is always hiring, from small townships to the city you’ll find new listing appearing on job sites daily. The more you look the better your chances of finding a job and landing that important interview will be. #2 – Consider using a website app that will allow you to check multiple sites at one time. Save some time on your Smartphone or computer by using an app or programme that allows you to search different sites all at the same time. This will not only save you time, but it gives you a list of multiple jobs and listing all in one go. #3 – When to be specific and when not to be specific. You will find that many of the job search websites require you to enter in a specific keyword or phrase and within the retail sector it doesn’t really matter if you want to work as a stocker, cashier, sales person or manager typing *retail* will bring up all the retail positions available. If you are looking for a specific position, you need to search with the job title required. For example *Retail Manager* will show listings only for store managers, assistant managers and team leaders. #4 – Always read job listings carefully, Reading listings carefully and properly is important, all the vital information you need will be listed and by reading properly you can avoid wasting time applying for a job you are too qualified for – or not qualified enough for. Don’t waste your time on listings where you cannot meet the job requirements – always focus your attention on the more promising leads. #5 – Never put all your eggs in one basket. 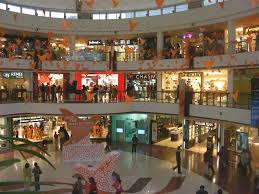 As we mentioned earlier you should always job search often when you are looking for a position in the retail industry. Although your search may find 20 jobs that you apply for, there is no guarantee you’ll get the job, or even an interview for the job. Never simply apply for a few jobs and cross your fingers hoping for the best – don’t stop looking for a job until you find a position and have a definite starting date. Use other avenues to find work such as career fairs, newspapers, social networking sites, and even signs in shop windows – yes, some jobs still get advertised this way. Always keep your eyes and ears open.